This article is written on behalf of Guiseley Gazette. On the 18th of October 2016, I went to meet a new local business, who had recently opened their doors in September 2016, to find out more about them. The business is Full Circle Funerals, a company whose owners believe that a funeral is a personal statement on the individual who has passed and therefore should reflect that. They believe in providing a more in touch service, making family members feel more involved (if they so wish) and to make the funeral the way it would have been wanted. Full Circle Funerals is run by local individuals with a history in the medical and social care field. They wanted to create a relaxed environment for grieving families while making what can be difficult decisions. I got to have a nosey around and must say, you certainly do feel relaxed and calm in their meeting spaces. With a beautiful colour theme, comfortable furniture and even the decorations around, you feel less like you’re at a funeral home. They believe in being transparent with the process and will walk a family through it step by step at a pace that suits them, no need to rush or feel pressured to make a decision. Funerals are a sad time with many people grieving those they have lost yet majority of funerals follow the same pattern, and become replicas of each other. Many funeral service providers also feel it is essential to make the process as fast and as painless as possible, for some this works. However Full Circle Funerals believe that slowing the process down and getting more involved can help people deal with their grief better. They meet families at an initial meeting to learn about the individual who has passed, offer a list of what they can offer and to just ease families in to the process. 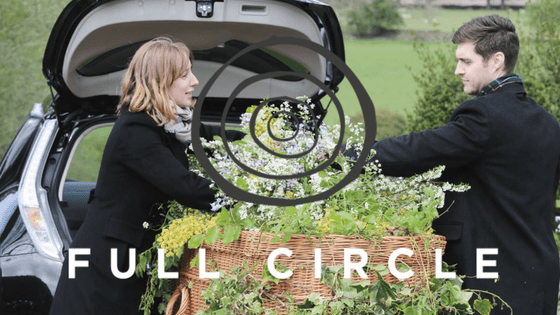 Full Circle Funerals have been picked to take part in a ITV documentary looking at funeral vehicles through the ages due to their eco hearse. The options are endless and you control every aspect of the funeral, Full Circle Funerals cater to every need, religion and even ethical beliefs that a family or member may have. They set the price out for you clearly so you understand where every penny is going – they even have a page on their website that can help you calculate the cost yourself! I you are looking for a local Funeral directors that understand your need to be in control, that want to get to know those that have passed so they can make the ceremony personal, someone who can be there to hold your hand throughout the whole process without applying pressure then give Full Circle Funerals a ring today or visit their website.